Legal translation for immigration: what are the main steps? Legal translation for immigration: what are the main steps to take? Legal translation for immigration can be a complicated process, especially if you don’t have specialists nearby for help. If you are applying for the U.S. green card or other immigration benefits and presenting your paperwork for immigration in the US, you will need to translate any non-English documents into English. If you are submitting your file to the U.S. embassy or consulate abroad, then the embassy or consulate may be able to deal with the documents that are in the language of that nation. Their guidance will usually tell you if they cannot. Though, you should double check your local consulate’s procedures to be sure. The translation process can be challenging but with help of professionals you will get it done fast and without a hassle. 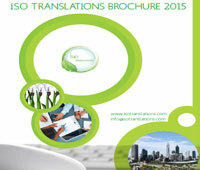 Which Documents You May Need Legal Translation for Immigration? If your birth certificate is misplaced or unavailable, you may have to obtain affidavits for family members to confirm and swear to your individuality. If that is the situation, the affidavits also will require to be translated if in a language other than English. USCIS needs a passport translation of the biographic page, picture page and the visa page of your passport. Only these pages are required; translations of the other pages are not necessary. An official academic document is showing that you are qualified and have advanced or similar foreign degree required to do the job. If these credentials are not in English, a legal translation must be presented along with copies of the original documents for immigration. If you are applying for immigration with your family, your spouse or any dependents, you will have to show evidence of your relationship and their identities. Sometimes, USCIS may recommend immigration DNA testing to help prove familial relationships. What other elements should you consider for legal translation for immigration? If you are married, be sure to include a copy of your marriage certificate. If you had a marriage outside and the document is not in English, you will need to provide a translation. If you have children, you will need to provide USCIS with copies and translations of their birth certificates and valid passports. 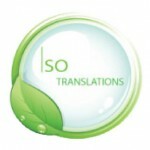 ISO Translations provides you an accurate certificate confirming the accuracy of the translation service and proving that it was produced by a professional translation agency, dated and acknowledged on our letterhead by a member of our team. Certification specifications vary from country to country, but our translators are familiar with legal systems worldwide and with this experience can help you meet your immigration translation requirements.